For the first time ever New Mexico State Legislature is offering a state wide K-5 Plus program. In the past, Deming Public Schools K-5 Plus program had only 1,200 seats available for students to get a head start on their education. Now this opportunity will be available to all K-5 students. Deming Public Schools elementary students will start school on July 2nd, adding 25 extra days of instruction. During the K-5 Plus program all school services including busing and meals will be provided to the students. The theme for the extra 25 days of instruction is “Full STEAM Ahead”. The district is excited to be able to have a program that has 25 days of instruction that integrates Science, Technology, Engineering, Arts, and Mathematics activities. This is an exciting time for the students, where they can meet their classmates and have exciting experiences, while learning about STEAM. STEAM is an educational approach to learning that uses Science, Technology, Engineering, Arts, and Mathematics as access points for guiding student inquiry, dialogue, and critical thinking. The results are students who take thoughtful risks, engage in experiential learning, persist in problem-solving, embrace collaboration, and work through the creative process. STEAM removes limitations and replaces them with wonder, critique, inquiry, and innovation. There will be opportunities for non K-5 teachers to partner and assist with planning during the K-5 Plus program. Another opportunity, is for older youth to mentor in the Elementary Schools during this program. Mentoring helps to engage and motivate the students to strive to new heights in their educational career. The district understands that not every child is meant for the college pathway, by offering technical or trade pathways, we ensure that every child has an opportunity for success. K-5 Plus program and STEAM is one avenue that we can offer more opportunities to students in our community. For more information or questions about this opportunity please contact your local Elementary School or call (575)546-8841 and ask to talk to the Academics Office. Safety updates and important messages and/or district information will display here. Click here to report your students absence. Attendance is very important here at Bell Elementary School. Every day that your child misses, they are missing critical information that will enable them to meet the Common Core State Standards. We also would like to encourage parents to not check out your student early, unless it is an emergency. Teachers do begin teaching the minute the bell rings at 8:20 and will not stop until the bell rings at the end of the day at 3:00. We appreciate your understanding in this matter! No students will be checked out after 2:30 pm. Bell Elementary's vision is to provide a positive learning environment for our school community through consistency, accountability, collaboration, and peer support. Be Respectful, Be Responsible, and Be Safe. Get Involved in our learning. Prepare for college. Search for Deming Public Schools, once downloaded. 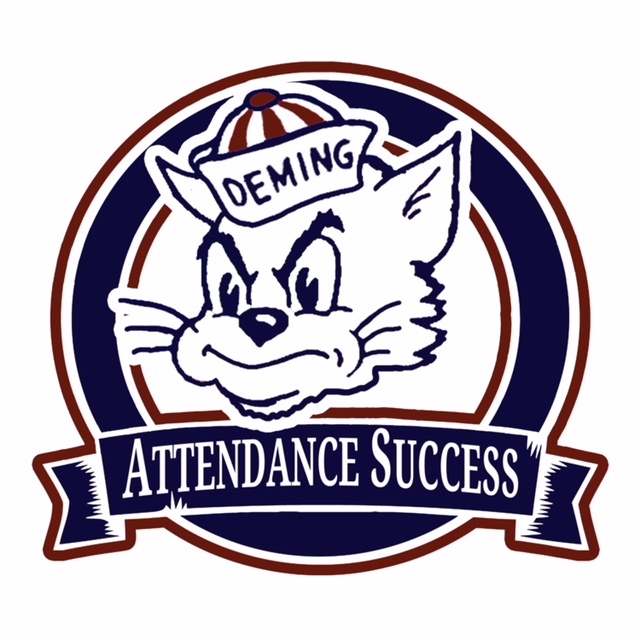 At Deming Public Schools, we recognize that attendance is vital for student’s academic success. In order to achieve this goal, we need your support. We are excited to announce that parents now have the option to email their child’s excuse to the schools attendance office. Simply go to your student’s school website and click on the email link listed. Each school’s attendance clerk will check the email daily and verify with the parent that they sent the email. de los estudiantes. Para lograr este objetivo, necesitamos su apoyo. Estamos encantados de anunciar que los padres ahora tienen la opción de enviar por correo electrónico la excusa de su hijo a la oficina de asistencia de la escuela. Simplemente vaya al sitio web de la escuela de su estudiante y haga clic en el enlace de correo electrónico que se indica. El empleado de asistencia de cada escuela revisará el correo electrónico diariamente y verificará con el padre que envió el correo electrónico.